What Is Additional Data and What Does It Have to Do with 9-1-1? The term “additional data” has been floating around the 9-1-1 industry lately, and it’s important to us at the North Central Texas Emergency Communications District that our telecommunicators and citizens understand what that term means. Though it sounds complicated, it’s really just about information. 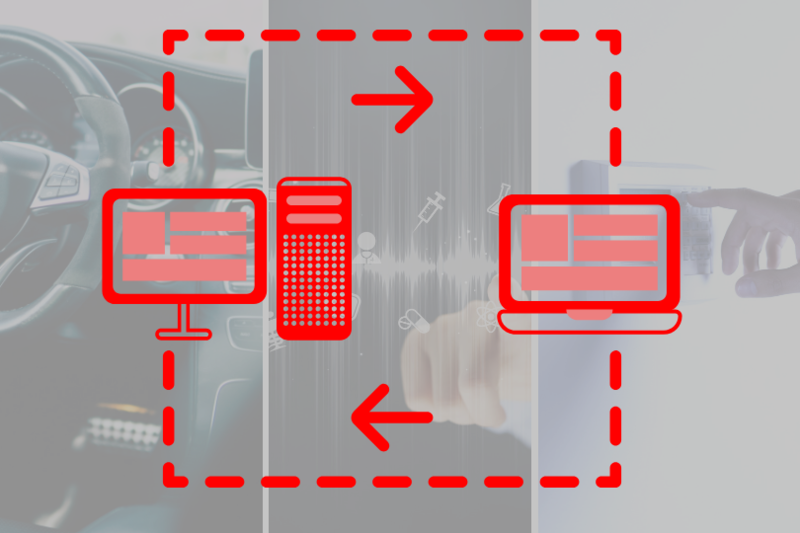 One of the next steps in Next Generation 9-1-1 is to provide additional information from a variety of devices, systems, and other data-storing tools like apps or smartdevices. This information can be given to 9-1-1 telecommunicators the potential to help them to make wiser decisions about what kind of help and how much is needed for a caller. The goal is a better, faster response. But what kind of information would telecommunicators get? This is what most people think when they hear the term “additional data.” Industry professionals have known that pictures and video would be coming to the 9-1-1 call center soon, but this is just the tip of the iceberg. Yes, livestreaming video from an emergency or sending photos is a part of the additional data process, but it’s only a small part of a bigger plan. What if fire alarms let a telecommunicator know the temperature and intensity of a fire before responders were dispatched? Additional data could also provide something as simple as the face of the thief stealing Christmas gifts off a porch. With new technologies being applied to home security systems, it only makes sense that public safety should benefit. Plenty of security companies are working toward collaboration with 9-1-1 to create a safer experience for their customers. The details of a vehicle accident are crucial to a first responder. Data like seatbelt sensors, the number of passengers, and information on air bag deployments change how a telecommunicator dispatches responders. Having this information readily available the second the first 9-1-1 call is made allows for a quicker response and more lives saved. Wearable devices like Fitbits and Smartwatches contain vital medical information. If a citizen chooses to allow emergency services to have access to this info during a crisis, a telecommunicator could one day have necessary medical and contact information at their fingertips. Though a lot of this technology is still in development, it won’t be too long into the future before we see it. The interconnection of smart devices not only makes parts of our lives more convenient, but it has a huge opportunity of changing how we save them. It will be a long road before additional data is implemented on a large scale, and there are still questions from telecommunicators on the front lines who are concerned about what this means for their role. The goal of integrating additional data into a PSAP is to help telecommunicators, not to overcomplicate their position. That’s why proper training and the creation and application of standard procedures that are individualized to each PSAP will be instrumental in the deployment of additional data. New technology means industries everywhere have to learn how to adapt, including 9-1-1, but telecommunicators are some of the strongest, most resilient members of the public safety family, and we know that they can take on this challenge. Last month, the 9-1-1 Supporting Accurate Views of Emergency Services (9-1-1 SAVES) Act was introduced into the United States House of Representatives. Last week, a companion bill was introduced into the Senate and a similar bill has been filed in the state legislature (HB 1090). The 9-1-1 SAVES Act will reclassify 9-1-1 telecommunicators, who are currently classified as clerical workers, as a protective service occupation. This would allow them to be recognized as first responders in the public safety community. worst moment of someone’s life and offer support while simultaneously coordinating a response. They face fatigue, burn out, PTSD, and other unique mental health challenges. But the Bureau of Labor Statistics classifies them as an Office and Administrative Support Occupation. How many clerical positions see 31% of their employees with PTSD? How many administrators report feelings of fear, helplessness, or horror in 32% of the phone calls they take? 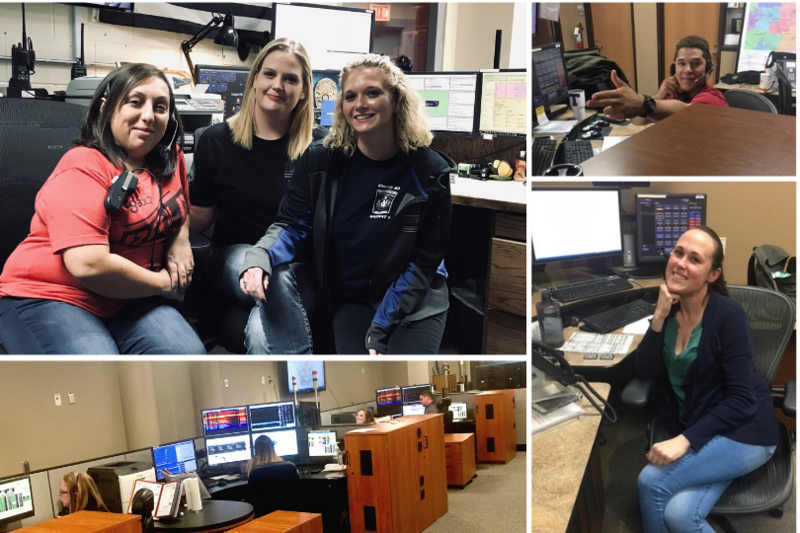 The telecommunicators of the North Central Texas Emergency Communications District are more than clerical workers. They are the ones who pick up the call in your darkest moment, and the ones who stay on the line to promise you hope. They are the first, first responders, but this time they need your help. Support your local 9-1-1 telecommunicators by contacting your local legislator. The National Emergency Number Association made it easy: just click the button below, fill out the form, and they’ll tell you who your representatives are and contact them for you. Your 9-1-1 telecommunicators will always be there to pick up the call. This time, you can help them. Contact your legislator. It’s a brave new digital world. Boundary-pushing technologies pop up every day, and a lot of this new tech solves our problems faster and makes our lives easier. However, there are some industries, like public safety, who are concerned about new technology that the public isn’t fully educated in. The best way to reach 9-1-1 is by calling. We don’t see a way around it for some time, but that doesn’t mean tech companies aren’t trying to change that. 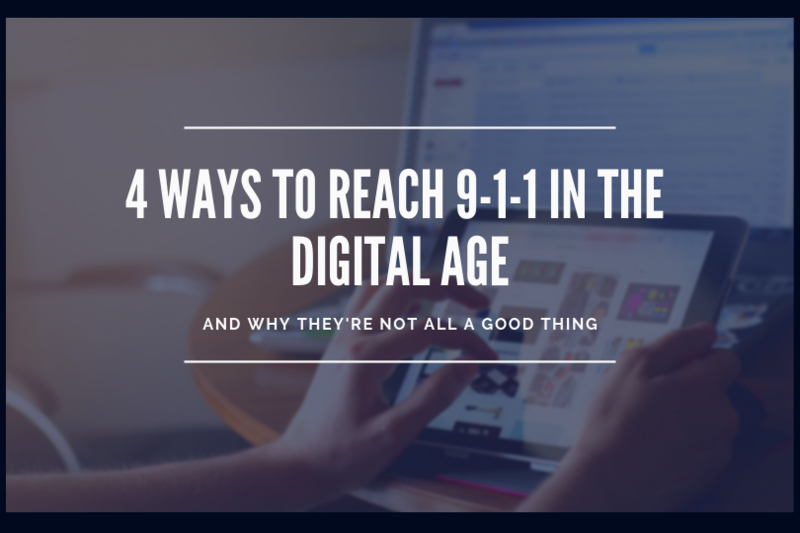 Some of the solutions that have popped up in recent years can help a caller get to 9-1-1 in specific circumstances, and others are causing more harm than good. Emergency apps were created to provide advanced capabilities that are not yet available or are currently in development for Next Generation 9-1-1. Many of these apps claim that they can replace a voice call to 9-1-1, but that’s not always true. Many 9-1-1 call centers don’t support emergency apps, and because there is no national standard, an app that is used in one jurisdiction may not be used in another. It’s difficult to create a one-size-fits-all solution when there are no standards to enforce, or when these apps are created by developers that lack public safety knowledge and resources. Be wary of the claims that these apps make. There is no 9-1-1 app certification process developed by public safety organizations or government agencies, so if an app is “certified,” it’s unlikely that it was seen by industry professionals with authority over 9-1-1. Apps that claim to send information directly to first responders are probably referencing first responders who also downloaded the app and are monitoring it regularly—and many of them will have to pay a fee to do this. The odds that the first responders in your community are using it are slim. The Association of Public Safety Communications Officials (APCO) and other national organizations are making efforts to create standardizations for apps, but for now the best way to get help from emergency services is a voice call to 9-1-1. If you are unable to call, and if it is available in your area, you can also text. Smart watches are growing in popularity and are slowly replacing smartphones in a lot of people’s lives. That means they’ll be used more and more frequently to make emergency calls, but it’s important to know the limitations of these devices. Not all smartwatches are created equal—some can make outgoing calls while others can only display information from your phone. If your smartwatch can make outgoing calls without a Bluetooth connection, then it can also call 9-1-1. There’s been a huge increase in false 9-1-1 calls from smartwatches, which takes call takers away from emergencies. Make sure you know how your smartwatch works so you can avoid contributing to this problem. Siri, on the other hand, does have the capability to call 9-1-1 with just a command, but only if you’re within earshot. And it won’t turn your phone on speaker for you, so the call taker may not hear your responses if you’re far away. The ride-sharing app recently launched a 9-1-1 calling feature that allows users to tap an icon in the bottom right corner to reach 9-1-1. This sends the caller directly to a 9-1-1 dispatcher, and won’t alert the driver (or vice versa) that the call has been made. The feature was tested in a handful of US cities and the plan is to release it nationwide. Uber has acknowledged that this feature should only be used if it’s the fastest way to reach emergency services. If the app is already open, and a user feels threatened or in danger, it’s a useful tool, but you can still call 9-1-1 directly. As of today, voice calling 9-1-1 is efficient and the best way to get help in an emergency. And if you see any new technology claiming to replace this, just remember to be skeptical and to do your research. In a 2012 study by Northern Illinois University, 800 9-1-1 telecommunicators reported feelings of fear, helplessness, or horror during 32 percent of their 9-1-1 calls. These professionals face an enormous amount of stress and fatigue during long shifts, which can lead to burnout or PTSD. Though telecommunicators are not classified as first responders, this industry knows that they face similar mental health concerns as police, fire, and EMS personnel, and some 9-1-1 professionals are affected by specific types of trauma unique to their field. It is up to call center leadership to help their telecommunicators handle the mental health concerns that come with the job. 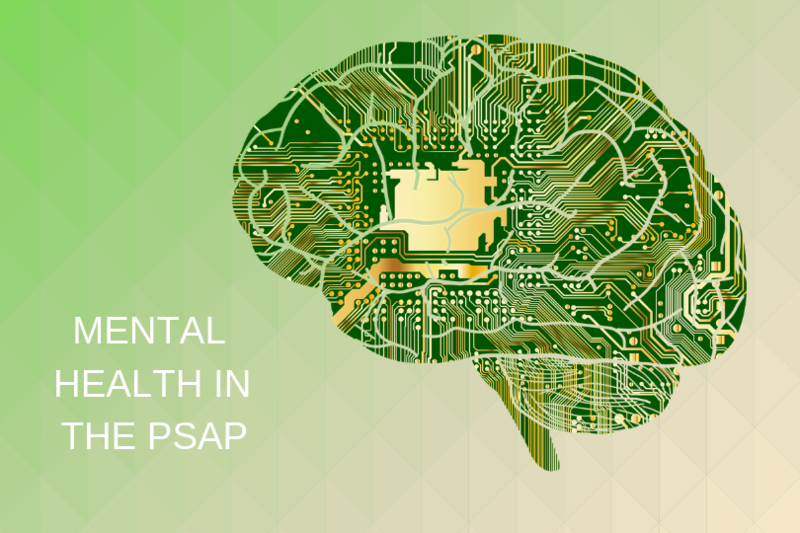 Mental health is no longer a taboo subject in our society, and PSAPs that aren’t talking about it are doing a disservice to their team. We’ve outlined a couple of ways supervisors and managers can start the conversation and help their telecommunicators be aware of their mental state so that they can continue to save lives every day. Most industries have developed strategies to avoid burnout, depression, anxiety, and other mental issues that may affect their employees. The 9-1-1 industry can learn from these practices to create strategies that are personalized for their PSAP. Agencies all over the country are addressing PTSD and other health concerns in peer-to-peer groups like this one in St. Joseph. These dispatchers created a safe way—handing off a poker chip—for coworkers to reach out when they’re in need of support. This allows individuals who may not feel comfortable starting the conversation get help from their peers. Consider creating a similar program at your PSAP, or invest in a mental health wellness check solution. The most important thing PSAP leaders can do is allow conversations to happen without stigma. A 2017 survey of 2,000 first responders by the University of Phoenix found that 55% felt that their supervisor would treat them differently if they brought up mental health concerns at work. Though telecommunicators were not included in this sample, they face similar trauma to those surveyed. Telecommunicators may also suffer from vicarious trauma, or compassion fatigue. This unique phenomenon is often found in counselors or therapists who experience secondary trauma after listening to individuals who have experienced trauma. Due to their line of work, telecommunicators can also suffer from compassion fatigue, which can lead to symptoms like difficulty falling asleep, dreaming about their callers’ experiences, feeling trapped by their work, intrusive thoughts, and more. Knowing the signs of mental illness means a supervisor can better help team members dealing with the symptoms. Though hypervigilance is the most common PTSD symptom for telecommunicators, it’s important to know them all so that no one slips through the cracks. We’ve all heard of PTSD, depression, anxiety, and other common mental illnesses, but many individuals may be affected by something more common: burnout. PSAP leadership should look for burnout and offer support for individuals who may be dealing with these symptoms. Veterans are more likely to have low job satisfaction and a higher rate of trauma, which is an uneven exchange that can lead to a high turnover in a center. Lilly’s research found that many telecommunicators, both new hires and veterans, still believe in the “benevolence of the world.” This proves the importance of positivity in the 9-1-1 profession. Without a focus on the positive, and a support system to handle trauma and fatigue, telecommunicators couldn’t do this important job. Continue to encourage positivity in your center not only because it fosters a better work culture, but because without it your team wouldn’t be able to do the important, live-saving work they do every day.